Mr. Ken Lux has over 25 years of martial arts experience and is the founder of the Silicon Valley and Granite Bay/Roseville Buyu Dojos in Northern California. After studying Karate and Judo, he began his training in the Bujinkan School in 1984. His first instructors were Stephen K. Hayes and Jack Hoban. Mr. Lux is a Ju-go Dan (15th degree black belt) and continues to study with Dr. Hatsumi and other senior instructors. Students of all backgrounds and levels are welcome to his training classes. His training incorporates the ideals of the late Robert L. Humphrey, noted conflict resolution specialist, and author of "Values for a New Millennium." In addition to martial arts, Mr. Lux is active in outdoor activities such as flying, biking, skiing and hiking. Mr. Lux holds a Bachelor's degree and is an executive of a business development consulting firm. He is married with two daughters. Mr. Pierre Rogers has studied martial arts for over 22 years, first with the Korean Art of Tang So Do and French Epi Fencing, and then Kano Judo in the late 80's. Starting in Kenpo and AikiJutsu in 1994 under Sifu Joseph DuGay and his Son Joe DuGay Jr. while becoming one of the founding members of the United We Stand Federation, one of the first cross style martial arts federations designed to bring different schools and styles together to share ideas, training methodology and waza. Through U.W.S., Mr. Rogers was able to study under Black Belt Hall of fame Instructors and Sensei Allen Libby, Master Spaltro, Sensei Wess, Gran Tuhon Leo Gaje. In the late 90's he spent much of his time testing his knowledge by participating in Full Contact Kyokushin tournaments. 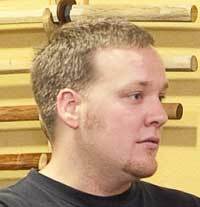 In 2003, he started training in the Bujinkan at the Boston Taijutsu Society under Shidoshi Mark Davis and under his teacher Anshu Stephen K. Hayes. In 2008, Mr. Rogers moved to California and started training under Mr. Ken Lux, which gave him exposure to other top Bujinkan instructors Jack Hoban and Doug Wilson, and is a 3rd degree black belt. Mr. Rogers is a business owner who enjoys cigars, camping, sailing, surfing, and cars. He holds a Bachelor’s degree in International Finance and is married. 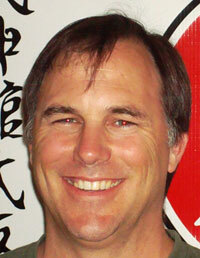 Mr. Steve Throne has over 12 years of experience in the Bujinkan school. He started his training with Mr. Lux in the Silicon Valley and continued with various other instructors. Mr. Throne is currently a Yon Dan (4th degree black belt) and is continually advancing his training in Budo Taijutsu along with various other disciplines. His training incorporates the teachings of the Buyu under Mr. Jack Hoban and Mr. Ken Lux which includes the same ideals of the late Dr. Humphrey's teachings. Mr. Throne is also an 8 year veteran of the National Ski Patrol, has climbed mountains internationally to near 20,000 feet, and participates in numerous outdoor activities such as hunting, fishing, hiking, and cycling. Mr. Throne holds a Bachelor's degree in Mechanical Engineering and is a sales executive for a high tech company. He is married with two sons. Mr. Jason Salizzoni has received numerous awards throughout his 17-year law enforcement career and has been an instructor for the past 7 years. During his time in law enforcement, Jason has worked as a patrol officer, special investigator, with a multi-agency drug task force, multi- agency gang enforcement unit, and as a full time instructor. Jason has also worked with dignitary protection and has been tasked with protecting dignitaries both foreign and domestic, including the President of the United States and the King of Jordan. Mr. Salizzoni is currently assigned as a full time firearms instructor at one of California’s largest law enforcement agencies. He carries expert and master certifications in many disciplines including the following: Krav Maga Force Training Division Instructor (Military and Law Enforcement Programs), weaponless defense, basic combatives, and self-defense. 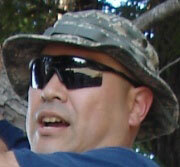 Mr. Sean Mason started training in Taijutsu at the Stockton, CA dojo in 1987. He worked with variety of instructors including Jack Hoban and Stephen Hayes. He earned his 1st degree black belt from Jack Hoban in 1990. Sean left training in 1992 to follow a career in hi-tech. Sean returned to training in 2007. He continues to train with many different practitioners in California and travels regularly to Japan. 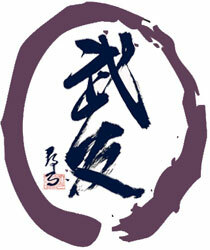 In 2010 he passed the 5th degree black belt test and received the title of Shidoshi. 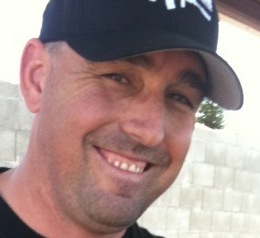 Mr. Tom Robison has over 20 years of martial arts experience. His initial training was in Aikido and he started training in the Bujinkan in 1994. He is currently a Yon Dan (4th degree) training under the supervision of Mr. Ken Lux. Students of all backgrounds and levels are welcome to his training classes which stress the basic principles of balance, posture, and positioning. 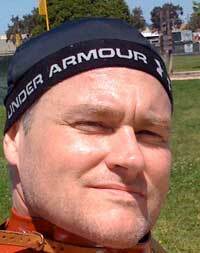 In addition to martial arts, Tom is a personal trainer and a massage therapist. He is the youngest of 5 children and learned the art of survival at an early age. Mr. Stan Higo has over 25 years of martial arts experience, beginning with judo at the age of eleven. Next he studied karate and soon began teaching students stretching techniques and basic movements. In 1993, he started training in the Bujinkan with Mr. Ken Lux and found it to be the most practical and complete form of martial arts he had experienced. 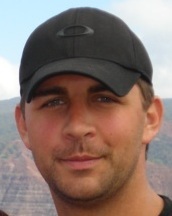 Mr. Higo holds his 4th degree black belt, is a licensed massage therapist and works in the biomedical industry. In his free time, he enjoys hiking, camping, rock climbing, bag-pipping, and spending time with his wife. 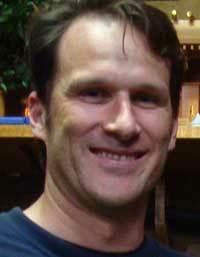 Mr. Keith Helgeson has studied martial arts for over 15 years. Mr. Helgeson studied various martial arts this time including Kenpo, Aikido, Kuk Sul Do, Shorin Ryu, Kobudo and traditional boxing. Mr. Helgeson trained in the Bujinkan schools for the over 4 years while cross training in various arts including Jiu Jitsu, Muy Thai and a renewed passion for American boxing. Mr. Helgeson holds his B license in general contracting and received his Bachelor of Science degree in Construction management from Chico State in 2007. When not working or training he enjoys just about anything outdoors like hiking, camping, golfing, and biking. 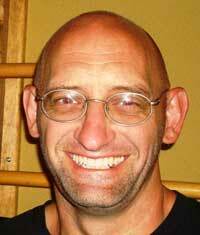 Mr. David Givens began Bujinkan training over 19 years ago with Shidoshi Ken Lux. Mr. Givens passed the Go Dan in 2000 and has been leading training regularly since 2001. He has traveled to Japan over fifteen times to train with Dr. Hatsumi and top Japanese Shihan and has been recommended for Ju-ni Dan by Hatsumi-Sensei. At home in California, he regularly attends seminars given by Jack Hoban and other top instructors. He has also traveled to New Jersey to train at Mr Hoban’s home dojo. Mr. Givens enjoys music, playing guitar, art and (although currently retired) amateur ice hockey.